Turquoise Bay, Roatan Honduras. June 2007. After our last mission trip to Honduras, Sheldon, Jose and I caught a bus to the "North Shore" of Honduras where we ferried to Roatan for a few days of diving. The facilities were great, the water was smooth and the weather perfect. The last picture in this gallery is actually a video. It takes a while to load after you click on it, so be patient. 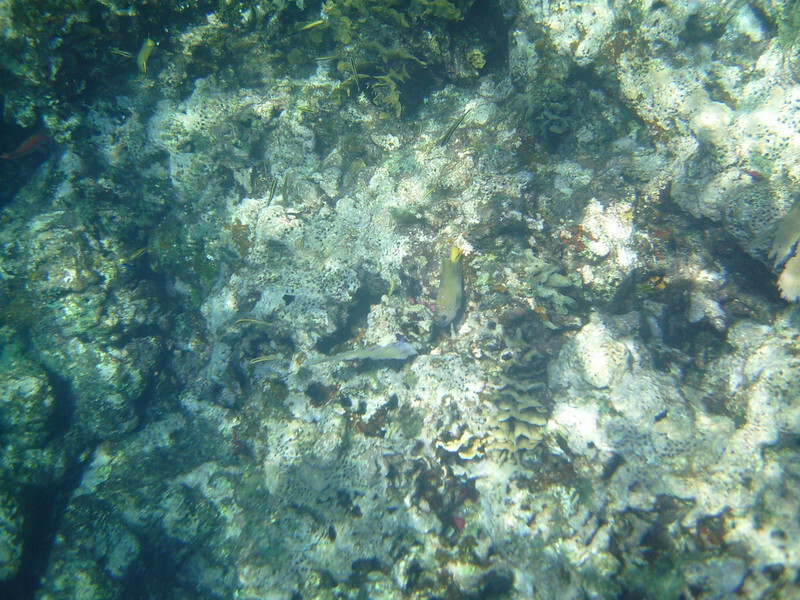 Small fish hidden at the center of this picture.